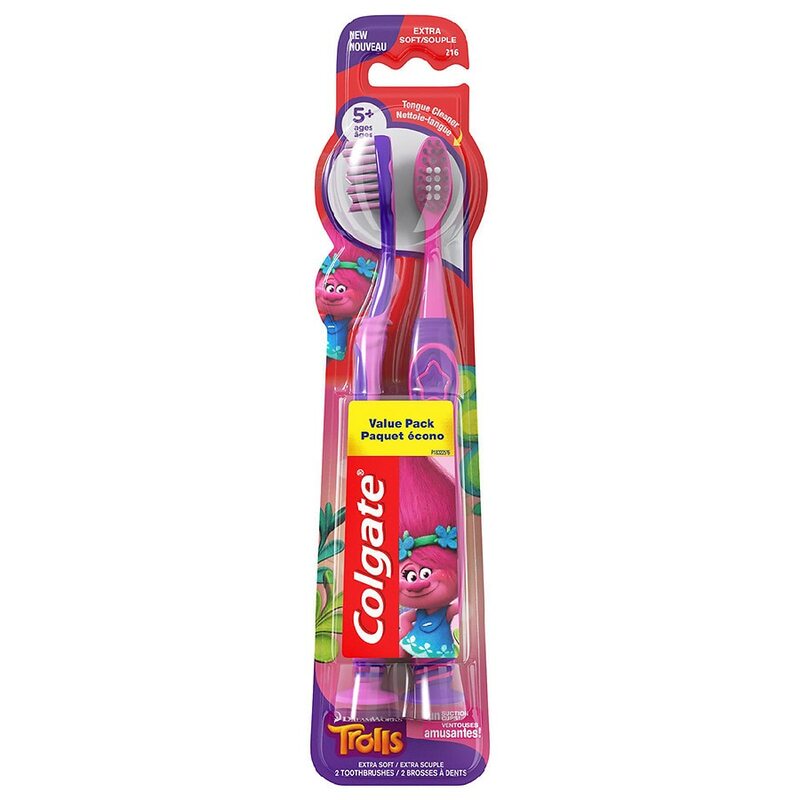 Colgate Kids Trolls Extra Soft Manual Toothbrush is a fun way to encourage good oral care habits early on! 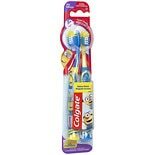 This toothbrush is specially designed for children with both baby & adult teeth. It features a suction cup for easy and fun upright storage, a thumb grip and rounded handle for a comfortable grip, and the unique soft tongue cleaner on the back of the toothbrush head to clean beyond teeth. Our unique soft tongue cleaner on back of the head to encourage good oral care habits early on. Thumb grip and rounded handle for a comfortable grip. Suction cup for easy and fun upright storage. Not suitable for children under 3. Adult supervision required for children under 8. Do not bite or chew. For toothbrushing only; do not use as a toy. For children with both baby and adult teeth.